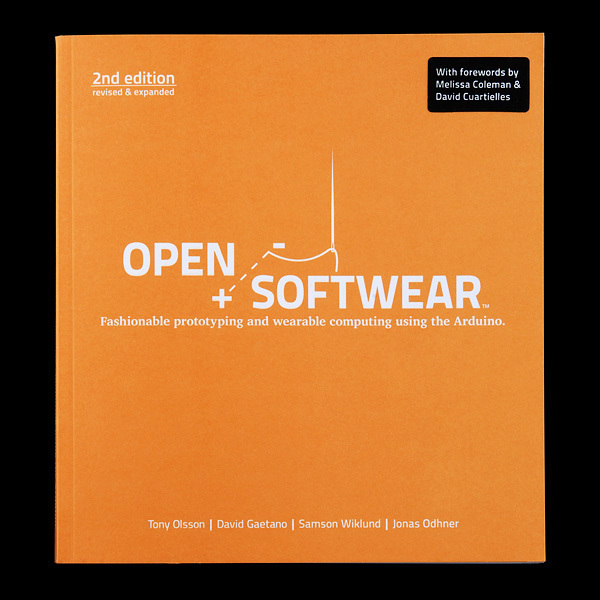 Open Softwear* is a book about fashion and technology. More precisely it is a book about Arduino boards, conductive fabric, resistive thread, soft buttons, LEDs, and some other things. This is a great book for beginners looking into wearable computing or into fashion and technology. Authors T. Olsson, D. Gaetano, J. Odhner, and S. Wiklund started researching five years ago thanks to the support of K3, School of Arts and Communication, Malmö University, Sweden. In Open Softwear they got the chance to come together to write down their conclusions in the form of an illustrated book aiming at students and professionals trying to enter the field of physical computing from the 'softwear' perspective. 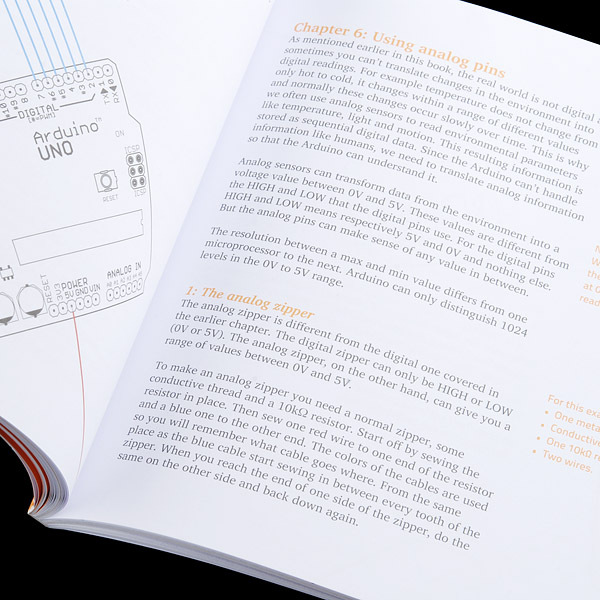 Starts with the basics of electricity, hardware and Arduino in chapter one before jumping into practical examples and projects and ends with an informative guide to coding for the Arduino. Packed with unique practical examples from touch sensitive embroidery to soft synthesizers. You should upload a preview of the book, or at least a table of contents. How about the beta version of the book? Excellent. I look forward to looking over it.